Whether Your Moving to or From Canada Fox Removals Service is Here! If you’re moving to Canada, then you’re not alone. More and more UK citizens are relocating there than ever before, due to its strong economic standing and natural beauty. 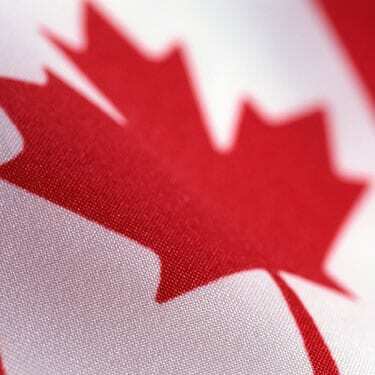 In fact, Canada is now considered to be one of the most sought after locations in the world in which to live. And if you’re planning on moving to Canada from the UK, then you need an experienced international removals team to get your belongings there quickly, safely, and at a price you can afford. Here at Fox, we promise to do exactly that. In fact, during the last 40 years we’ve helped hundreds of families relocate to Canada, using a combination of our air, road and sea services. So whether you’re moving to Edmonton, Ontario, Toronto, Victoria or anywhere else in Canada, we’ll make sure that every aspect of your move is as straightforward and stress-free as possible. We can ship your effects to anywhere in Canada and below we have listed some of the more popular destinations. Let’s face it, moving home is one of life’s most stressful tasks, and if your new home is across the Atlantic Ocean, then you’ve made those stress levels rise that little bit higher! Here at Fox Moving & Storage, our task is to reduce your stress as much as we can, and make your transition to a new life in Canada as smooth as possible. To ensure this happens, our experienced international removals agents will visit your home in the UK and sit down with you to discuss exactly what items you’ll be transporting, as well as anything you wish to store. We’ll explain everything you need to know, from packing, collection and removal, to shipping, storage, unpacking and finally, delivery to your new home in Canada! We’ll also offer advice and guidance on items that may or may not be practical to transport, and provide details and costs on any specialist packing or transportation needs. And when it comes to transporting your personal belongings safely, you’ve got absolutely nothing to worry about. We’re members of the British Association of Removers (BAR), as well as FIDI (The International Federation of International Movers) and FAIM (The Fidi Accredited International Mover), so your belongings couldn’t be in safer hands. Once your belongings have arrived in Canada, they’ll most likely be transported via the Eastern coast and moved across the country on Canada’s rail network. From there, we’ll contact one of our approved agents, who will arrange for your consignment to be picked up and delivered to your new home, wherever that may be. For advice and guidance on customs regulations, please visit the customs information section. Wherever you’re going in Canada, and whatever you’re taking with you, Fox will have the answer. If you’re planning on transporting everything in your home, then you may want to consider our Full Container Load (FCL) service. These containers start from 20 foot long, and are more than adequate for even the largest of inventories. For a more cost-effective option for smaller shipments, we offer regular “Groupage” services to all areas of Canada’s ten provinces. These are normally sent via one of three central hubs, which are Toronto, Calgary or Vancouver. An alternative to these options is airfreight. This is ideal for small consignments or for belongings that need to be delivered quickly. Please contact us for more information and a detailed quote. Finally, we also offer a storage service that’s available both here in the UK, and at your destination in Canada. We would be happy to discuss this with you should it be required.